Well before the YouTube generation, or the web as we know it, any self respecting ‘boy racer’ (before we became enthusiasts, eh) would have read that particular month’s Max Power. With it’s casual reviews of fibreglass body kit wonders popular of the era, and liberal spreads of scantily clad lairy women most readers were literally glued to the magazine. From it’s inception in the early ’90s, Max became the UK’s biggest motoring magazine, and it inspired a generation of cruises that it visited throughout the country scoring them on the women, police presence and amount of burnout action. 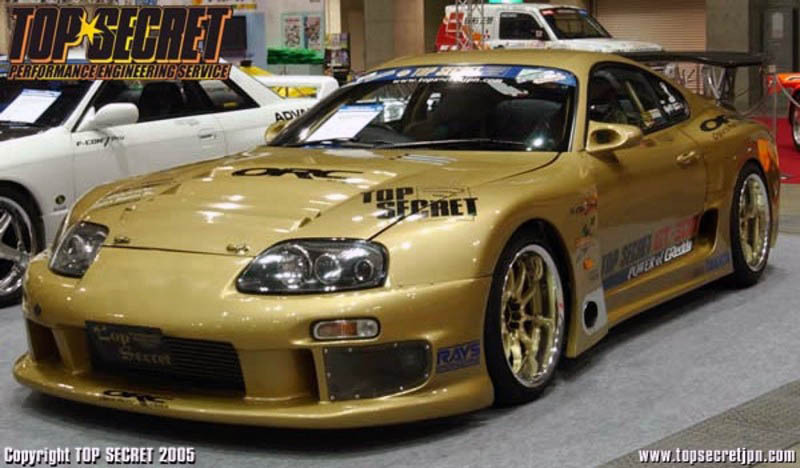 Closely linked to the burgeoning tuning scene and rapid rise of Japanese performance imports, they came to strike up a feature with the owner of famous tuning house Top Secret (Japan). Owner Smokey Nagata was infamous in slaying Japanese motorways at 200+mph in his 1000bhp Supra, and shipped his car to the UK to do the same on the A1 outside London. It was all filmed no doubt for a Max DVD, and despite taking place in the early hours of the morning, Smokey’s efforts didn’t go un-noticed by the boys in blue. This is part of my Before Facetube series of articles on RMS, chronicling some of those great automotive film moments before YouTube and Facebook took hold. Proper blast from the past there - legendary video! Probably my first real introduction to Top Secret, outside of the world of Gran Turismo on the PlayStation.